A trailer can be viewed below. 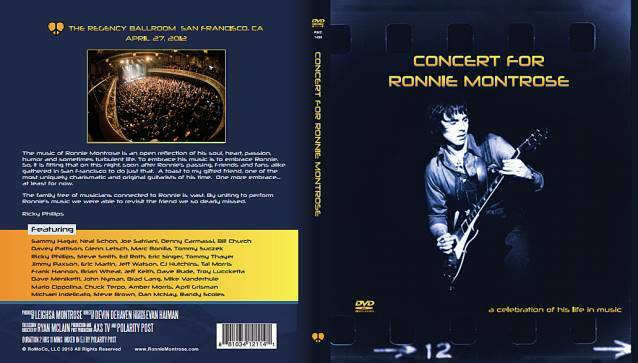 The iconic and legendary Ronnie Montrose has been called the Father Of American Hard Rock — an innovator and an incendiary guitar genius. In his short time with VAN MORRISON, Ronnie created the iconic guitar riff for the classic song "Wild Nights". In the EDGAR WINTER GROUP, he left even a bigger mark with his catchy heavy-handed riffs on songs like "Free Ride" and "Frankenstein". But it would be his self-titled release, "Montrose", that would become the cornerstone of American hard rock. This debut in 1973 crafted such classics as "Rock the Nation", "Bad Motor Scooter" and "Space Station #5". It laid the groundwork and became the template for bands like VAN HALEN and countless subsequent musicians. His musical journey lead him to the creation of GAMMA where he crafted songs like "Voyager", "Thunder And Lighting" and "Ready For Action".